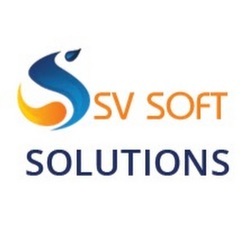 SV Soft Solutions is Global IT Training and e-Learning platform. SV Soft Solutions provides a job oriented online training on PeopleSoft, SAP, Oracle, Android, Microsoft, Servicenow, Datawarehousing, Hadoop, Amazon Web services and Tibco courses. We are experts in providing training to individuals and corporate. Our training sessions are suitable for entry level IT professionals and advanced IT professionals trying to enhance their skills.